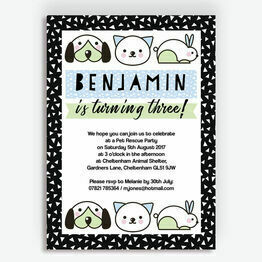 If your little one is pet crazy, why not plan a party featuring all their favourite furry friends?! 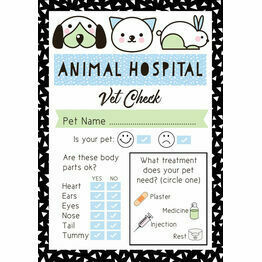 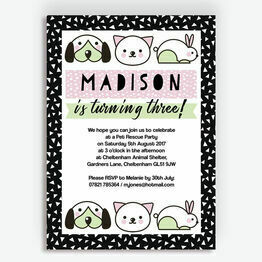 Our pet themed party stationery is complete with cute cat, dog and rabbit illustrations and comes in a pink / black or blue / black colour scheme. 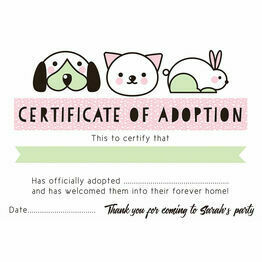 Personalise invitations and thank you cards online and print from home or order professionally printed.